A good landscape consists not only of the proper "placement" of material, but quality irrigation systems, drainage, lighting, contouring etc. 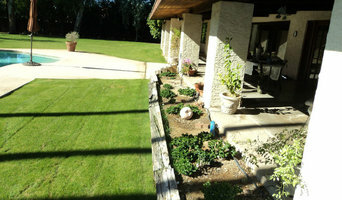 The first step Mirage takes in designing landscapes is to assess the needs of the homeowner. Does the homeowner plan to use their yard for recreation? Do they prefer minimal yard work? Do they have children or pets? Homeowners have many choices to consider when creating their landscape package, including association guidelines, Mirage will assist the customer in making the proper landscape decisions. We use only quality landscape materials and we are always striving for total customer satisfaction, which is indicative of our company’s rapid growth. We have installed yards for homebuilders such as Elliot Homes, CAN USA, and Platinum Pools. We will be happy to give you any references needed! 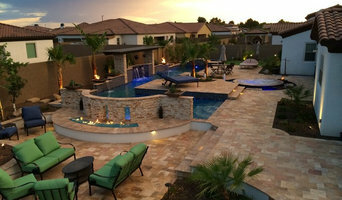 Greenheart Landscapes specializes is in the residential and commercial exterior hardscape industry. 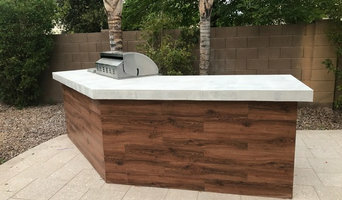 We offer a wide range of services, installation of pavers, pool pavers, travertine, artificial turf, concrete, outdoor kitchens, gas lines, electrical lighting, and irrigation systems installation and plant installation. 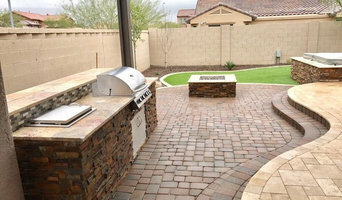 We also build BBQ structures, water features, fireplaces, fire pits, ramadas, pergolas, and install culture stone. Whether it’s a new install or renovation, you can count on Greenheart Landscapes for all your landscape needs.